The department of ECM in best known for its talented and dedicated professionals renowned for their excellence in various specializations in the field of Electronics & Computers. The department is provided with state of the art technological tools incorporated in all the existent laboratories. The augmentation of the intake of the department 60 seats and the accreditation of the department by NBA (AICTE), New Delhi are some of the worth mentioning laurels placed on the crown of the department. To be a guiding force to imbibe knowledge based quality education in Electronics and Communications Engineering, with a professional outlook for career growth and sense of responsibility to cater the societal needs. I) To promote teaching learning process with strategies to attain curricular enrichment throughout based education (OBE). ACM is an educational and scientific society which works with the motto of “Advancing Computing as a Science and Profession”. The organization is the world’s largest society of information technology students and professionals. It was established for the purpose of uniting the World’s computing educators, researchers and professionals to share resources and to address the field’s challenges. 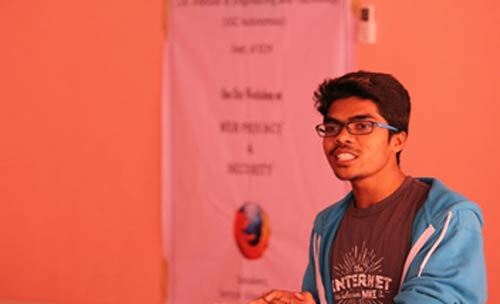 The JBIET Hyderabad Student Chapter of the ACM was established in 2014 to address the needs of the JBIET Hyderabad computing community. Goal of the chapter is to create interest among the students for computer science apart from what they learn during the course work. The chapter organizes talks and workshops on different subjects by speakers who are well known in their area. These talks give students opportunities to learn about advanced research subjects. Apart from these, some non-technical activities are also organized. Placed in: Core Services Ltd.
Placed in: MINDTREE S/w Ltd.
To conduct summer and winter schools for faculty members and short-term course for technicians to widen their knowledge base and deepen their understanding of the latest trends and developments in field of Computer Science and Electronics Engineering. To develop consultancy for various industries. To create better entrepreneurs in the IT and Electronics Sectors. 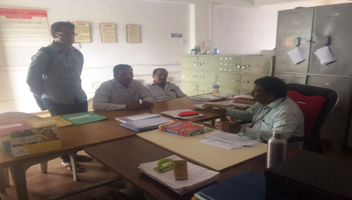 To get NBA accreditation for ECM department by the end of 2020. The department owns 120 latest computer systems with high configuration and upgraded software and maintains an exclusive lab with 1 to 1 ratio for each subject. No. of Class Room 3 Nos. No. of Tutorial 1 Nos. Departmental Library & Reading Room 1 Nos. The Department has excellent Departmental Library facility under Computer Science engineering and Electronics Engineering. Sandeep Reddy (15671A1903) secured 83%. Veenaja Reddy (15671A1916) secured 79%. Anitha Reddy (15671A1901) secured 78%. 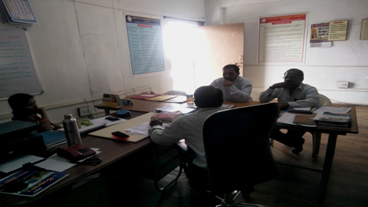 Thota Sai Sharan attended workshop on “Liter of light” at ISM, Dhanbad in Feb-2015. 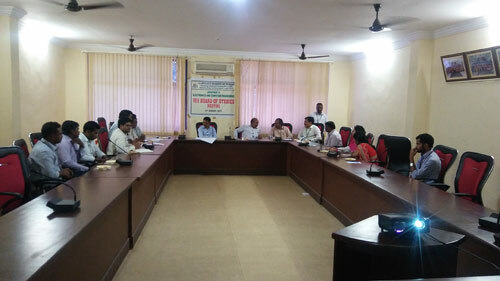 P. Sai Rama Krishna attended workshop on “Liter of light” at IIT-G(Indian Institute of Technology, Guwahati) in Feb-2015. Y. Hari Sharma and A. Leela Shankar won “Robotics competition” at a workshop held at KG Reddy college of Engineering in October-2015. 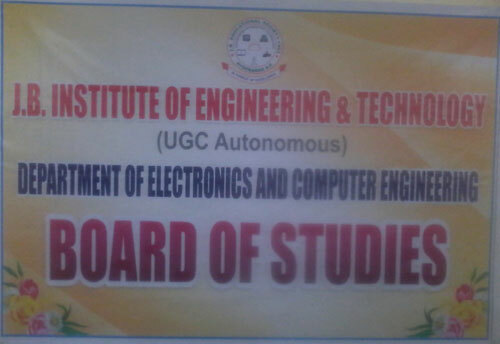 G Aishwarya, Y Hari Sharma, V Puneeth, A Leela Shankar, K Akhil, Prerika, P Sai Kiran, V Sai Krishna, J Uday, D Srikanth, Anantha Swethan, K Sai Jaswanth attended a workshop on “Robotics” held at JBIET in February-2014. G Nikitha, G Aishwarya, CH Megha Pooja has participated in “Youth Convention Shraddha” organized by Vivekananda Institute of Human Excellence. K Srikanth, D Siva Rama Krishna, B Ganesh has attended “Touch and Augmented reality workshop” held at IIT-H in September, 2015. 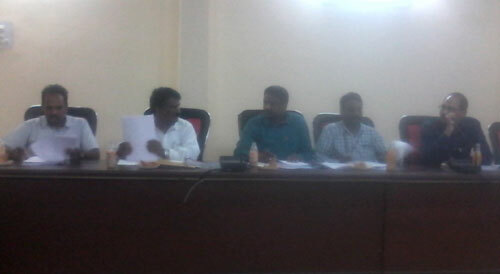 B Ganesh and K Srikanth has attended a workshop on “ Arduino and Raspberry-Pi” held at Joginpally B.R. Engineering College in October, 2014. 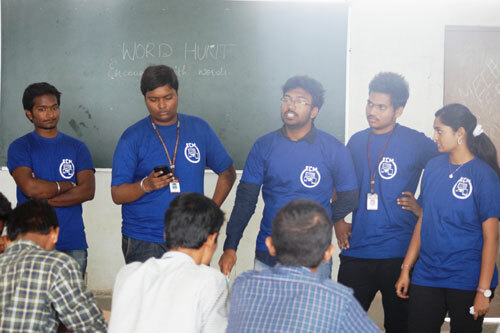 B Ganesh, K Srikanth, D Siva Rama Krishna has participated in “Ethical Hacking Workshop” held at IIT-H in January, 2016. 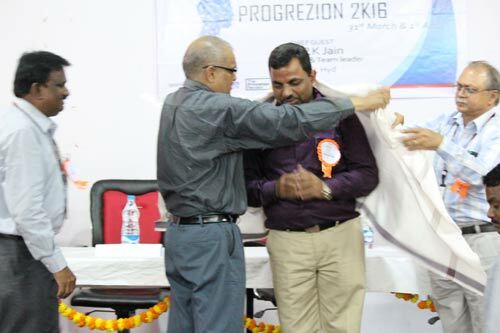 B Ganesh has participated in the event “Coding” held at MLR Institute of Technology in March, 2015. 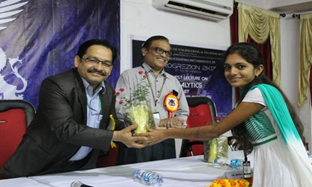 G. Nikitha Reddy, CH Megha Pooja has presented a paper on “ Google glasses” at CBIT in 2015. 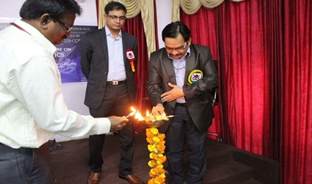 CH Megha Pooja has presented a paper on “Li-Fi technology” at CBIT in 2015. 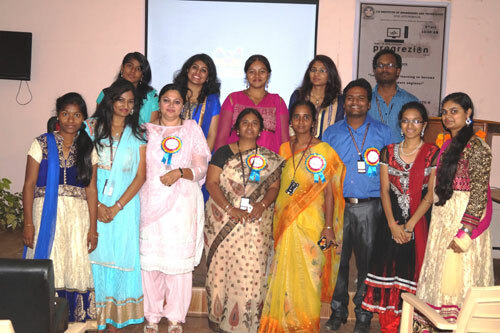 G Aishwarya has presented a paper on “Upcoming electronic devices” at Vasavi college of Engineering in 2015. Best Goal Keeper – La Liga –II 2017. Man of the Match – HFL Rookies- 2017. Best Goal Keeper – HFL Rookies 2017. Man of the Match –HFL-2016. JB Group Memorial Cup 2017- JBIET (Winners). V Ooha Shree has won in “Telangana State- 1st Inter- District Roller Skating” competition. 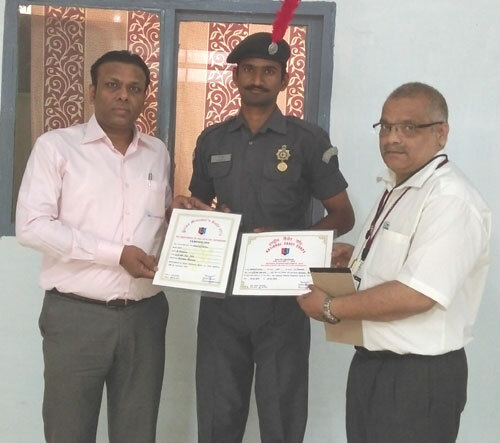 V Sai Krishna has won “Volley Ball competition” held in MGIT in 2015.
Who is the only candidate from Telangana State of Engineering stream participated in prime minister rally 2015 held at New Delhi on the occasion of Republic Day. Worked as a coordinator for “3D GAME Designing & Scripting" conducted by Virscent Technologies Pvt. 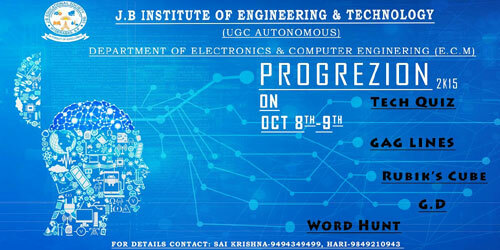 Ltd. (An IIT Kharagpur Alumni Venture) in association with Education Project council of India on 19th-20th march 2013 at JBIET. 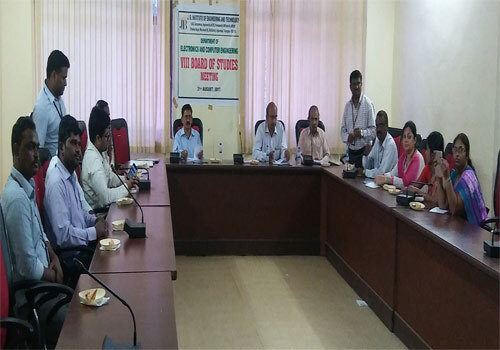 Participated in mission 10X work shop conducted at J.B.Institute of engineering & Technology at yenkapally(v),Moinabad (M), Ranga Reddy (Dist.) from 6th to 10th June 2011. 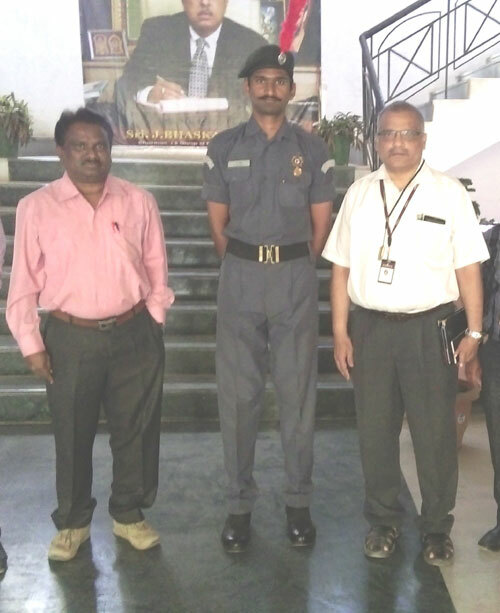 Attended a five days training program conducted by Mission 10X and Wipro from June 5th to June 9th 2011 at J.B .Institute of Engineering & Technology, Hyderabad. Attended one day workshop on “Advanced Computer Architectures” on 28th March 2009 at JNTUCE Hyderabad, conducted in coordination with IIT Madras. Attended one day workshop on “Systems Integration “ by Microsoft and IEG/JKC through Mana TV on 20th Feb-2009. 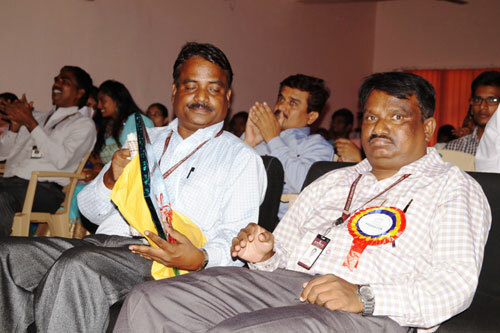 Attended a five day workshop of “TECS” TCS Excellence in computer science 2008 by TCS Hyderabad. 14th to 18th Feb-2008. Attended a five day workshop on “LINUX in higher technical education during 3rd to 7th September 2007 at JBIET, Yenkapally , Hyderabad. Attended a three day workshop on “Research Methodologies for Engineers” during 13th to 15th Feb-2007 at JBIET, Yenkapally, Hyderabad. 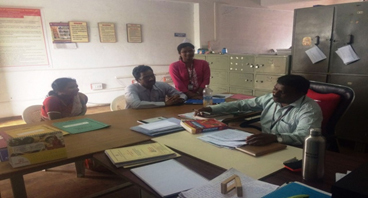 Four faculty members are pursuing Ph.D from different Universities. 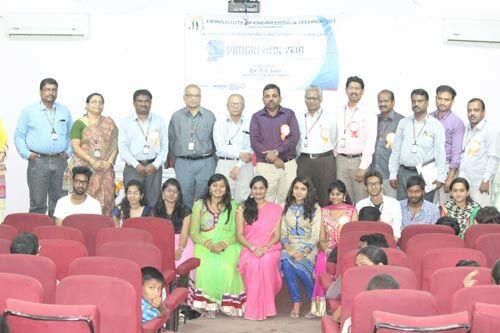 One Day workshop conducted by ECM Dept PROGREZION 2K16 on 31st March & 1st April 2016 at MNR Auditorium JBIET , Guest lecture by Dr. P.K Jain Scientist-F & Team Leader, ACRI, Hyderabad. 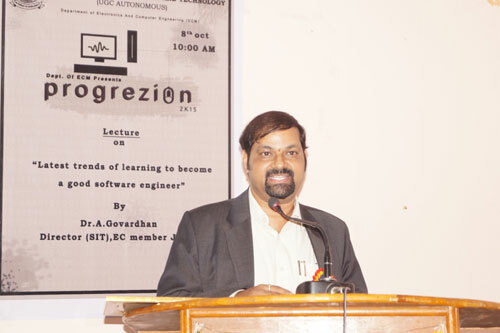 Seminar on Latest trends of learning to become a good software engineer on 8th October 2015 by Prof Goverdan., Director SIT JNTUH. 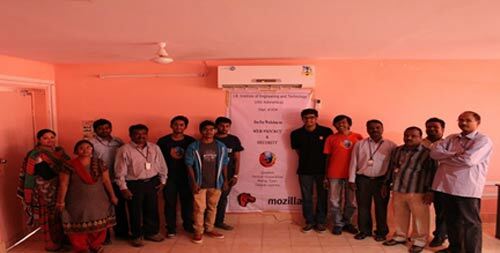 One Day workshop conducted by ECM dept with Mozilla Firefox team on 20th Feb 2016 at MIC JBIET by Akshay, Santosh, Harsha Vardhan & Deepak Upendra.